“And why do you do it?” I ask, juggling my camera and tape recorder. 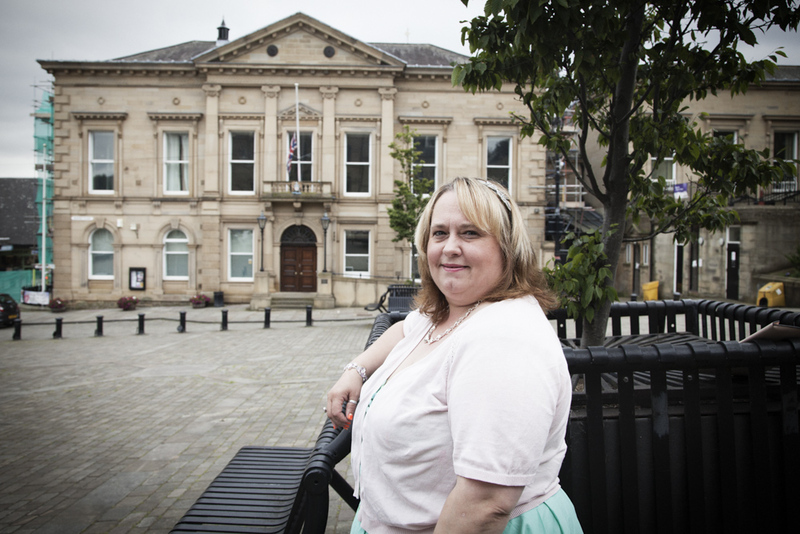 “What’s the idea behind Batley Festival? Apparently the annual festival – on Saturday 10th September – is now in its fifth year and Kimberley has been volunteering pretty much from the start, first as Secretary of the festival committee and this year as Chair. She’s expecting last year’s audience of over 5,000 to be easily surpassed this time round. Last year’s Festival featured two shows Kimberley had seen at the Greenwich and Docklands Festival and brought back to Batley. During the afternoon a dozen or so bee hives populated with ‘robotic bees’ and tended by ‘beekeepers’ enthralled both kids and adults. In the evening Walk the Plank’s Spellbound performance, featuring puppetry and pyrotechnics, did just that. 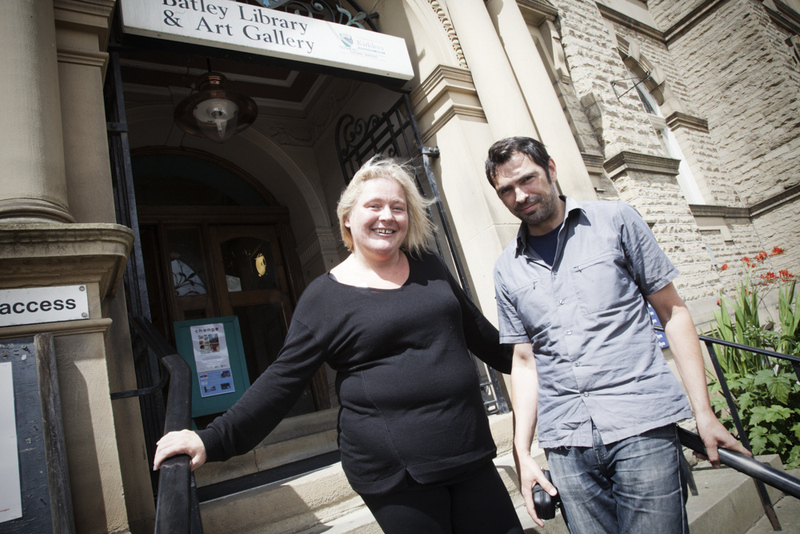 As we arrive in the art gallery above Batley Library Claire and Damian are deep in conversation with amateur filmmaker Simon Roadnight. He’s answered the call-out for video footage they might use for the Batley Festival. “What would you say is the town’s biggest asset?” asks Damian. For nearly an hour Claire and Damien mine a rich seam of raw material featuring stories of goths, the shoddy trade, Batley’s variety show legacy and Charlie’s pie and pea shop. “And why is Periplum different from other theatre companies?” I ask. “We make large-scale work outside and we put the audience in the centre so they experience it from all around,” says Damian. “That might include some goths?” I suggest. “It might, and even some girls’ rugby players,” says Damian cryptically.